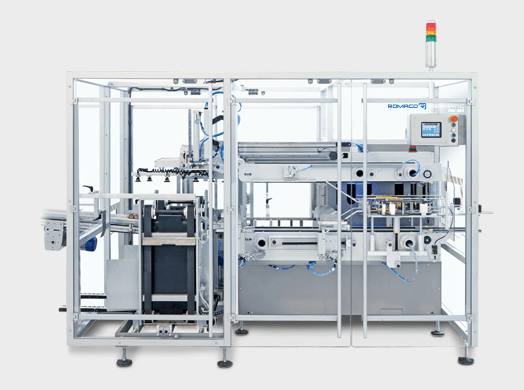 PPS supplies a number of different packing and end-of-line equipment from Romaco Promatic and Autopack. Packing and end-of-line equipment covers horizontal and vertical cartoners, case packers, shrink wrapping machines, stretch-banding machines and palletizers, including integrated systems and tailored solutions. Moreover, we offer customized and/or automation solutions matched to individual customer requirements. Please contact us for more information. 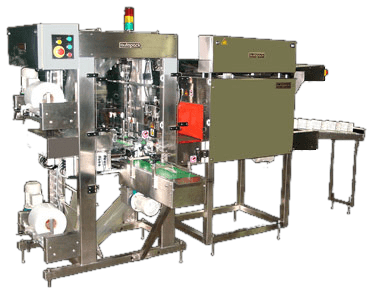 Romaco Promatic supplies innovative and advanced cartoning solutions, such as intermittent and continuous motion cartoners with horizontal or vertical feeding, vertical cartoners, stretch banders, and case packers. Romaco Promatic and PPS offer different intermittent motion cartoning solutions able to handle most carton qualities and with numerous modification possibilities. The extensive use of servo motors and belt drives ensures easy product handling and keeps noise and vibration levels to a minimum. 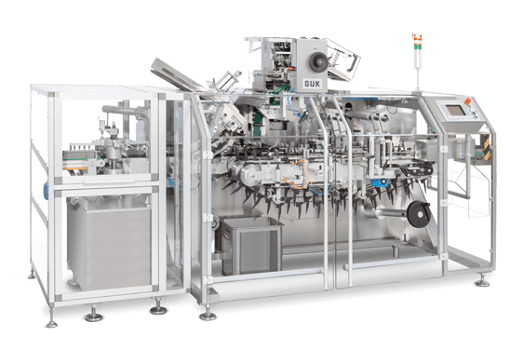 Romaco cartoners come as standalone units or in-line with selected primary packaging equipment. Designed for easy access and cleaning which minimizes the risk of cross contamination. Product feeding is horizontal and side-loaded. The intermittent motion cartoner packs up to 150 cartons per minute. The continuous motion cartoner from Romaco Promatic can be used for a wide range of applications, and is offered as standalone units or in-line with selected primary packaging equipment. 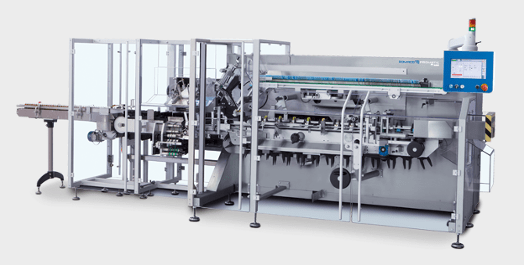 Moreover we offer individually customized cartoning lines, as well as a variety of tamper-evident features. Micrometric adjustments and digital positioning indicators enable tool-less processing. Product feeding is horizontal and side-loaded, but tailor-made feeding options are available. 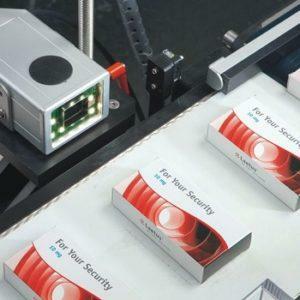 High-speed packaging of up to 420 folded cartons per minute. The vertical cartoner from Romaco Promatic is highly flexible as it can be operated in either intermittent or continuous motion depending on the cartoning application. The standard solution is semi-automatic, but it can be transformed to a fully automatic cartoning machine, by adding an automatic feeding unit. Manual or automatic product feeding, but always vertically from above. Packs up to 50 cartons per minute in intermittent motion and up to 120 in continuous motion. Suitable for a wide range of applications and frequent carton size changeovers. PPS and Romaco Promatic deliver various horizontal case packers, from compact semi-automatic to fully automatic high-capacity solutions. Monitoring and error detection are enabled by keeping operating processes and work areas separate, resulting in less machine downtime. Enhanced machine operation thanks to troubleshooting functions. Track & Trace systems can be implemented. 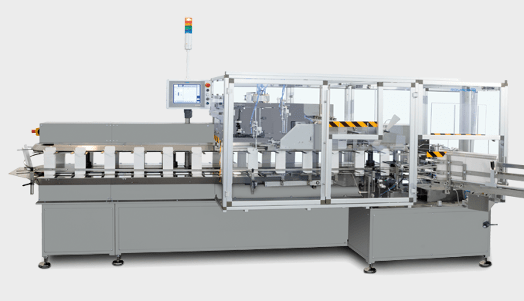 PPS and Autopack supply semi-automatic and full automatic shrink wrapping machines designed to be adjustable for a range of products, including carton, bottles and boxes. For additional pack strength, products can be placed on trays before being wrapped. Shrink tunnel with lower temperature for higher product protection. Palletizers provide an ideal end-of-line unit for case packers. PPS supply single or duplex palletizers with a number of individual configuration options. Please contact PPS directly for more information. Easy switching between EU and US pallets. The palletizer can be connected to any upstream equipment. The continuous motion cartoner from Romaco Promatic can be used for a wide range of applications, and is offered as standalone units or in-line with selected primary packaging equipment. Moreover we offer individually customized cartoning lines, as well as a variety of tamper evident features. PPS and Romaco Promatic deliver various horizontal case packers, from compact semi-automatic to fully automatic high-capacity solutions. Monitoring and error detection is enabled by keeping operating processes and work areas separate, resulting in less machine downtime.